We know, we know...it's barely Spring here in Montreal and we're already thinking about Fall! 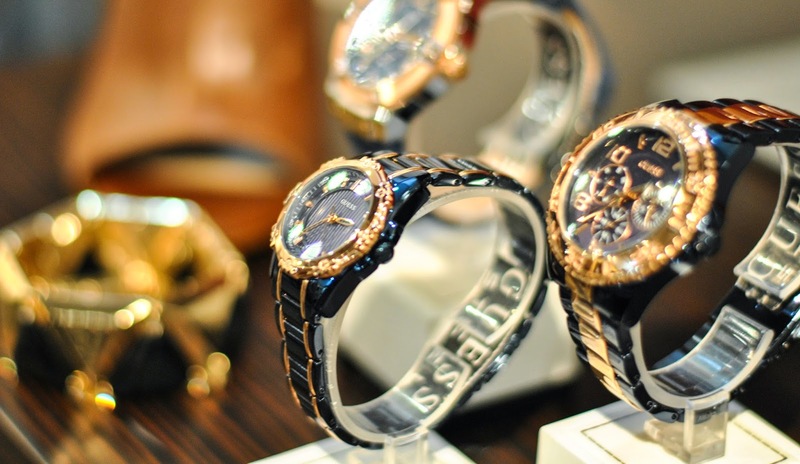 Debbie and I were recently invited to the Guess showroom for their Fall 2014 preview and what a preview it was! I wouldn't say we're exactly "excited" for fall (we'll probably get there once summer has actually arrived...) but the pieces features sure peaked our interest! 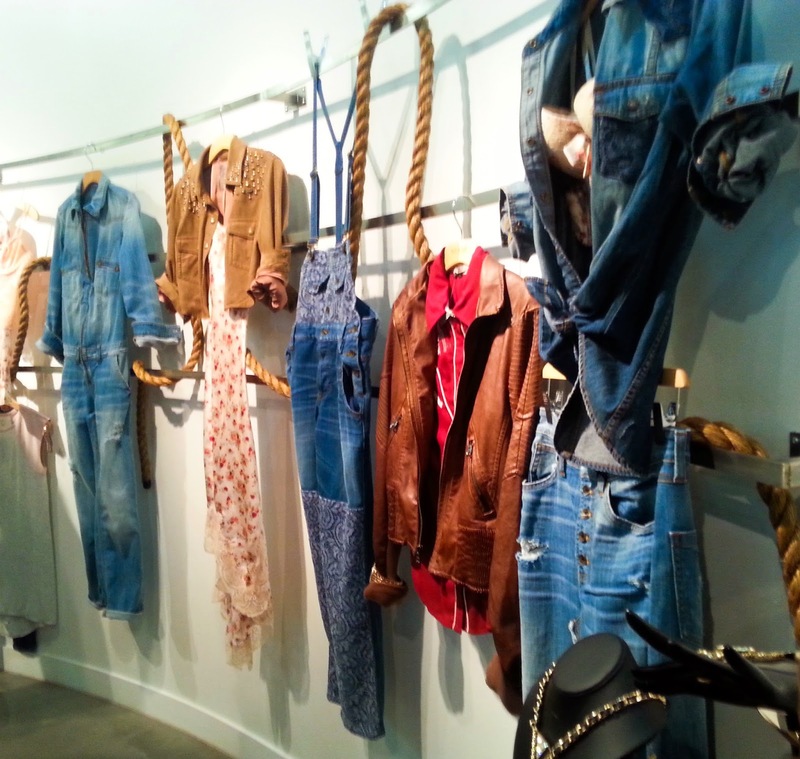 The first thing we noticed as we walked in was a wall that was saturated in denim pieces. 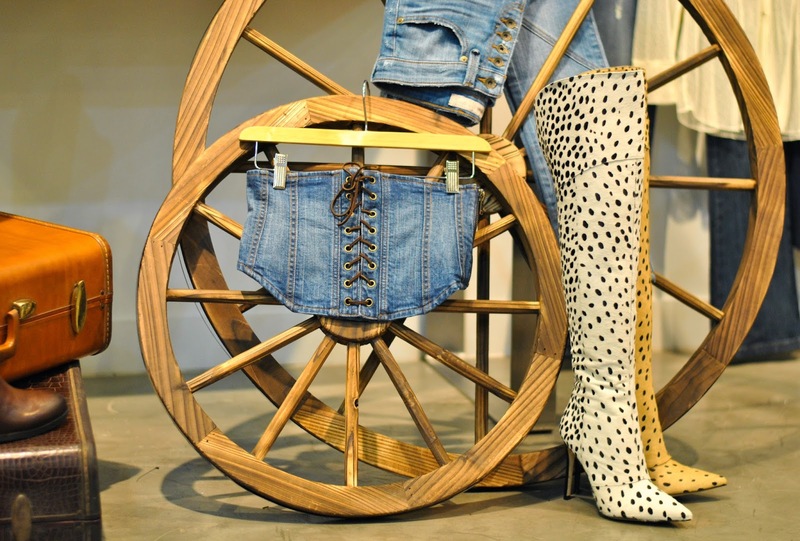 During our little tour, we were told that this section was called the “Natural Sweetheart.” These pieces had a rugged yet romantic feeling to them playing up the newest trends of overalls and slip dresses quite nicely. We also learned about the Guess Originals collection which is a limited edition collection of some of the brands most iconic denim pieces from the 80’s and 90’s. So glad to hear that Guess is trying to embrace a more vintage aesthetic. 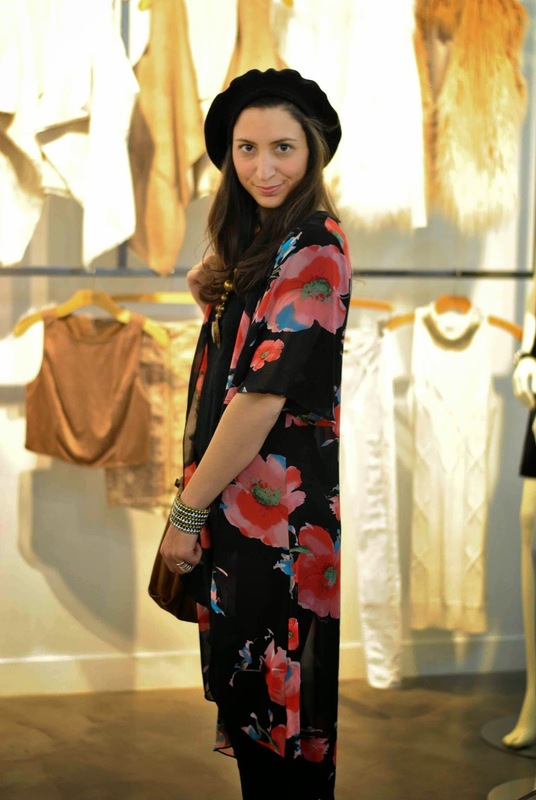 Debbie and I both oogled this floral slip dress, probably our favourite piece in the whole showroom. 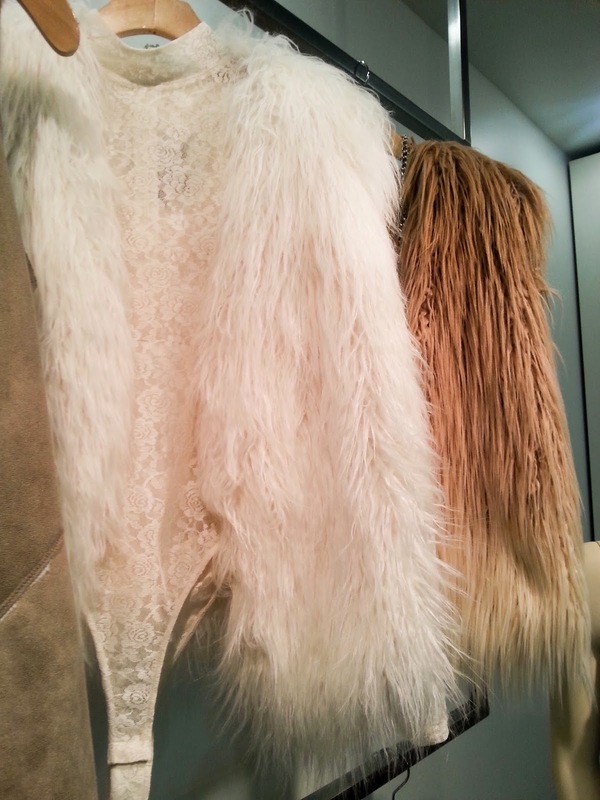 Creams, browns and neutrals were a big part of the fall collection. These warm hues are really reminiscent of crisp fall evenings in the golden glow of a sunset. And what's fall without a bit of faux fur? The ombre look was particularly eye-catching! 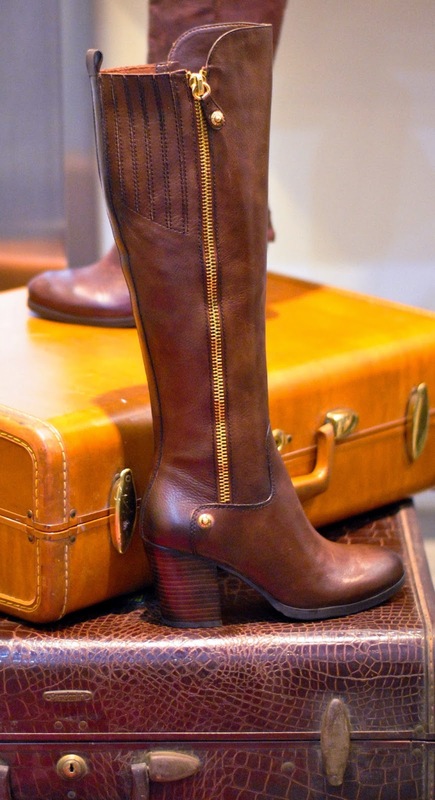 These brown leather boots are ALMOST making us excited for fall! What's a modern fall collection without a nod to the menswear trend, still as strong as ever. We noticed that they used a lot of pretty detailing, short skirts, lace and sequins to soften these looks and bring out a touch of femininity. 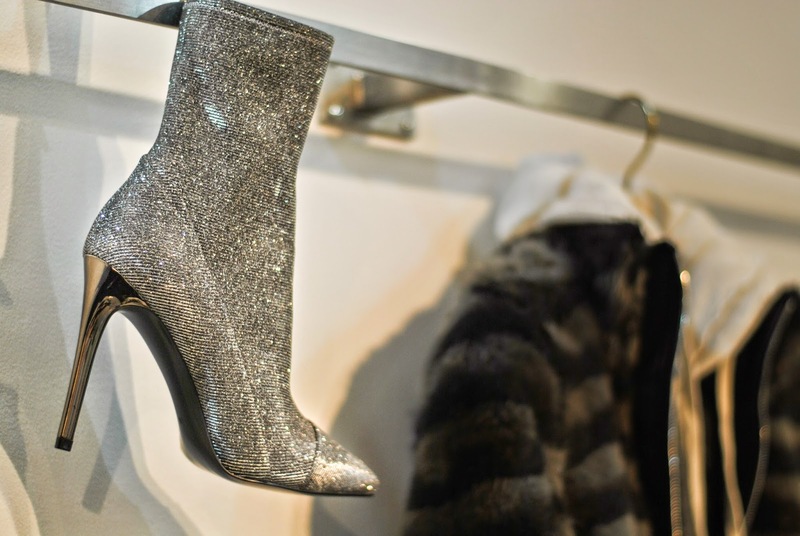 And this metallic bootie was another stand-out piece for us! It's stunning in person, positively bling-tastic! The last part of the collection was what they called The Dress Boutique, a small snapshot of their cocktail dresses for fall. 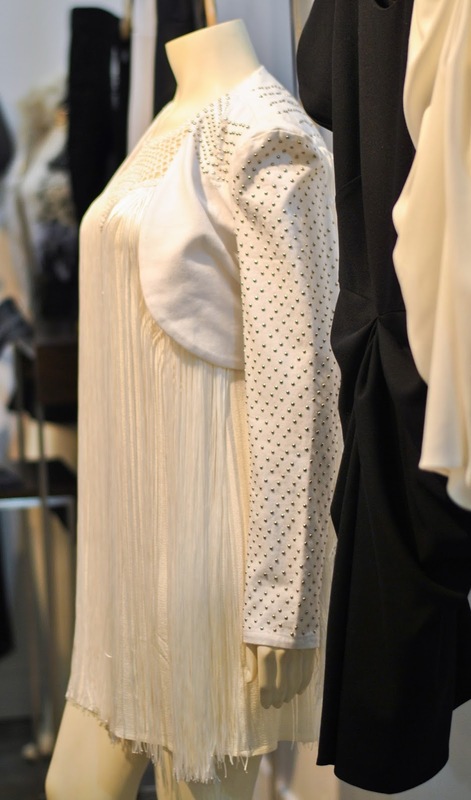 Here we saw that white dresses were being carried over into the fall season and lots of tulip skirts and interesting detailing including some serious fringe.